Sorry, not sorry for literally so many photos of Venice that you're about to look at, but seriously, it's not like they're an eyesore (like the one I got a few weeks ago that could've made me go blind without a million dollar doctor's appointment and ridiculously expensive eye drops). But for real, let's take a minute to talk about Venice. 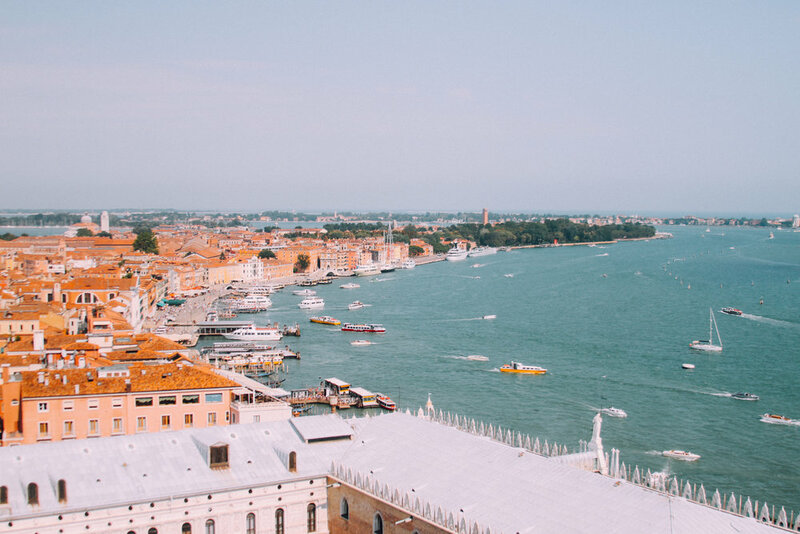 Perhaps it seems like a cliche vacation spot that thousands of tourists flock to annually, but there's a reason this happens; Venice is freakin gorgeous. In 2012, one of the stops on my round Europe tour was in this floating city, and having just recently gone back through the photos, I really feel like I needed to say something about this place. One day here was not enough, however it was enough to take way too many photographs and then be too lazy to edit them for over four years. I remember the day vividly though, and it while half of it was actually spent sitting in the shade, trying to prevent myself from fainting from heat stroke (I am notoriously weak in super hot weather), I at least got to breathe in the beauty of the city for as much time as I could in our limited schedule, and take some of my favorite shots I've ever captured. This may be my biggest photo journal post yet. I only have two tips for what to do while you're in Venice. Number one is to seriously just get lost. Walk down a random street and don't try to find your way out. You won't be disappointed or stressed. The second is to go up the Campanile di San Marco and take in the bird's eye view of the city below. It's sincerely magical.